The team at Five understand how important it is to eat fresh food. This is easier said than done when you are time -starved, running to hectic schedules and trying to juggle family life! 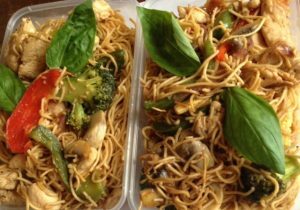 We try to help you reach that balancing act by offering fresh ready made meals that can quickly be reheated, eaten on the go, and devoured as quickly as you wish. The best thing about our meals is there has been no processing and the food is made fresh each day. Below are some examples of food we offer on a ready-made capacity. Contact us on 07779790431 to let us know your requirements and order the ready made meal of your choice.